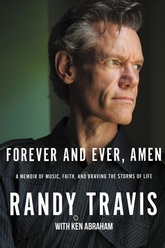 The long-awaited, deeply personal story of one of music's greatest icons, a remarkable tale of the utmost heights of fame and success, the deepest lows of life's sorrows, and a miraculous return from the brink of death, told as only Randy Travis can. From a working-class background in North Carolina to his "overnight success" with his smash 1986 album Storms of Life, Randy's first three decades are a true rags-to-riches story. But in 2009, this seemingly charmed life began a downward spiral packed with personal, financial, and health issues. Randy Travis is an iconic country music singer, songwriter, guitarist, and actor. He has sold more than 25 million records, earned 22 number-one hits and six number-one albums. Ken Abraham is a bestselling author known around the world for his collaborations with high-profile public figures.